This 2-day course was developed specifically for law enforcement officers with the purpose of increasing awareness of edge weapons and to familiarize officers on the every day carry (EDC) tactical folder as both a utility tool and as a defensive/offensive edge weapon. We’ve found that almost every officer in an agency will carry an edged tool at some point in their career, but you’ll soon discover that most have had no training when it comes to the use of this tool, which is the reason this high demand course was created. 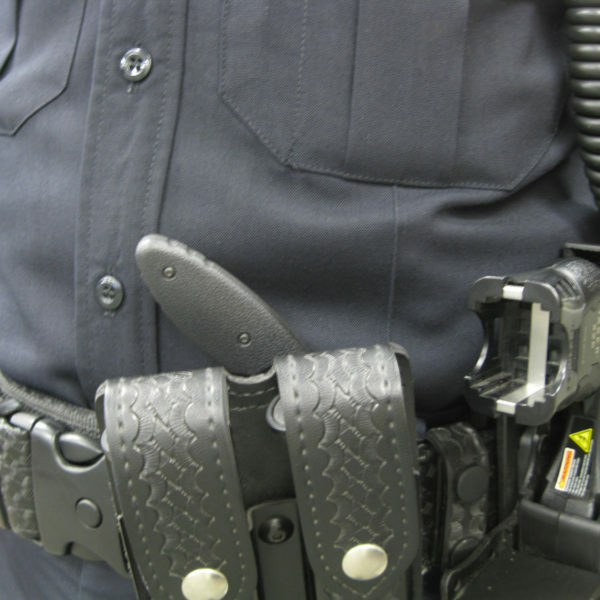 Most officers couldn’t tell you why they selected the knife they currently carry or where to carry the knife on their body. The knife is great for getting someone off of you where you can’t access your firearm, or the situation is too close to attempt to access a firearm. This 2-day (16 hour) course was developed specifically for law enforcement officers, and the primary purpose of this training is to educate officers on the tactical folder as a tool and as a weapon for defense. 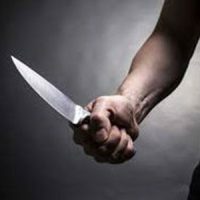 The training will also cover the fundamentals necessary for surviving an edged weapon attack and for using a knife in a deadly force encounter to stop an immediate lethal threat when no other force options are available. Due to the depth of information regarding knives and their use this course will focus mainly on tactical folders for law enforcement EDC. You won’t find another course currently on the market that offers this kind of training to law enforcement by law enforcement instructors. This course will fill up quick due to the high demand for this type of training! This class was phenomenal. 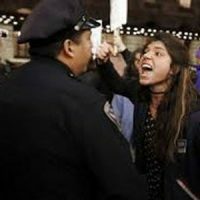 It will open your eyes to not just knife attacks and the high probability tactics to defend against them, but also the numerous weapons of opportunity that you must be aware of. This was an excellent course which provided a realistic approach to edged weapon defense and offense. 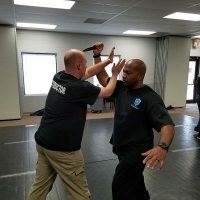 Jim Webster is very knowledgeable of the subject matter and presented the class clearly and provided techniques and concepts that are easy to learn and have a higher probability of success than traditional martial arts weapon defenses. Can’t wait to implement the lessons from this course into my department’s Defensive Tactics training. 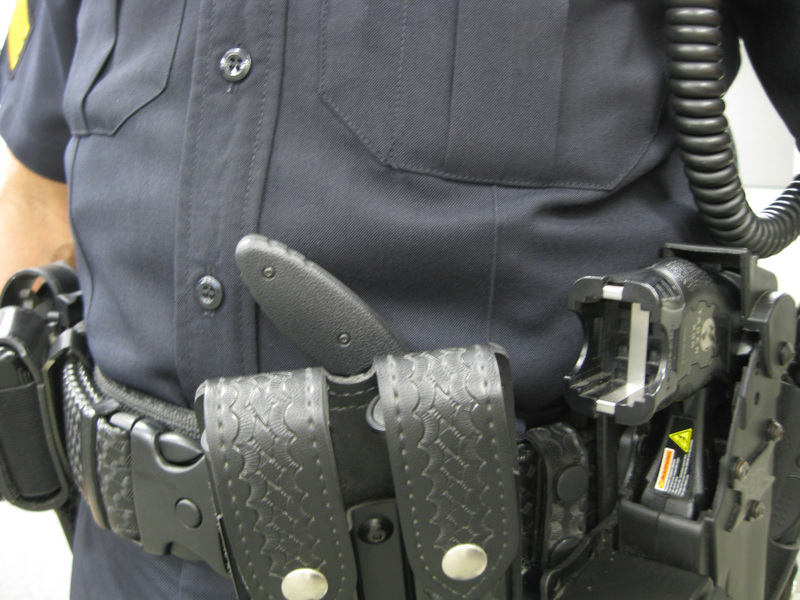 An essential, yet easily overlooked area that all officers should know. The course content is well balanced between conceptual and practical exercises. Instructor was highly knowledgeable and his teaching style made it easy to understand and apply the material. Use of various training tools and hands on exercises help solidify retention of the material. Highly recommend for any officer, especially patrol officers. Simple approach to edged weapon defense that is usable in real world scenarios. Very knowledgeable instructor with real world experience. Fantastic course, Jim Webster demonstrates great fundamental concepts and skills that can be put to great use during realistic life events that accur during day to day routines. Great course. Eye opening for sure. Highly recommended. Very practical and effective course to take. The instructor was very knowledgeable and gave real life examples. The best part about the concepts learned is that they can be utilized in any situation and is not confined to only edged weapons. Great Class — I have been to a lot of use of force classes, and this was well taught, with practical techniques. For an end user it is ideal. Great class….would go to it again. Very realistic training. Encourage people to attend the training. A must attend for patrol officers. Enhances your skills in an often neglected field. Outstanding realistic training that I highly recommend for every patrol officer. Practical and timely information and techniques. Outstanding class! Jim Webster keeps the class informative and realistic. This is my first Blue Shield training and I look forward to additional training. Great class, very practical applications and scenarios, very knowledgeable instructor, I would recommend this course.